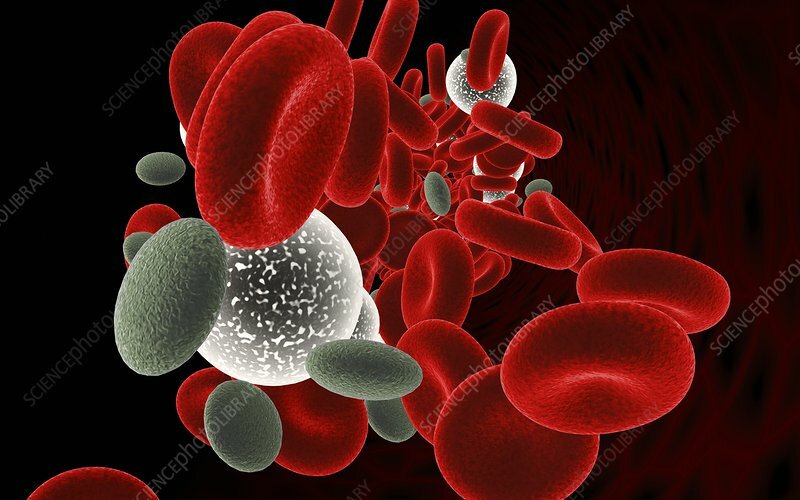 Blood cells, computer artwork. Blood is composed of plasma containing several types of cell. Red blood cells (red) are concave disc-shaped cells that transport oxygen and carbon dioxide around the body. White blood cells (white, round) are part of the immune system and help fight infection. Platelets (grey) are cell fragments that play a part in blood clotting at the site of a wound.